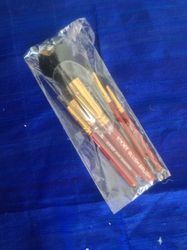 This brush works best for shading and highlighting cheeks and face with blush. The bristles on this brush are soft and form a full, rounded shape. Tapered for shading and highlighting the cheeks and face with the blush. The bristles on this brush are soft and form a full, rounded shape. Is very Versatile! On one end you have a super soft foundation brush - special design makes blending easy and gives you a polished flowless look. perfect for use with liquid & cream foundation. on the other end you have a luxuriously soft consealer brush. It creates a smooth shiny and bronze complexion . Excellent coverage , sparking effects with moisturising and nourishing properties .USPs : All Day Wear , Enriched With Jojoba Oil , Velvety Smooth. The perfect blush brush is particularly good for highlighting and shading cheeks and face with blush. With soft, natural bristles that form a full, rounded shape and a convenient wooden handle. Blush is an important part of facial make up A blusher adds color to the skin and enhances the look of our cheeks forehead and nose So give your facial skin a radiant dazzling look using Vega Retractable. 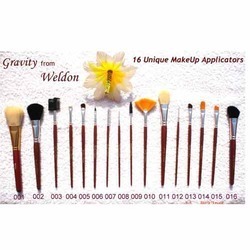 Babila Powder brush is a large dome shaped brush which is made from natural hair which has a surface that holds and disperses powder effectively and therefore it is a perfect tool for applying face powder evenly. This brush gives maximum coverage in minimum strokes.